Thomas W. Fetter apprenticed in California with Lindley Mixon before setting up his studio in Pennsylvania. 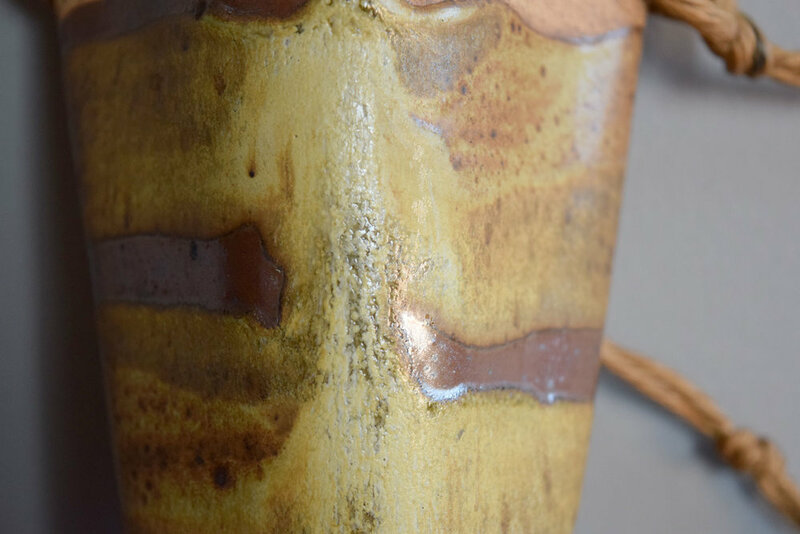 He is best known for his work in stoneware. Exhibited at the Nationals in 1962 and 1964. 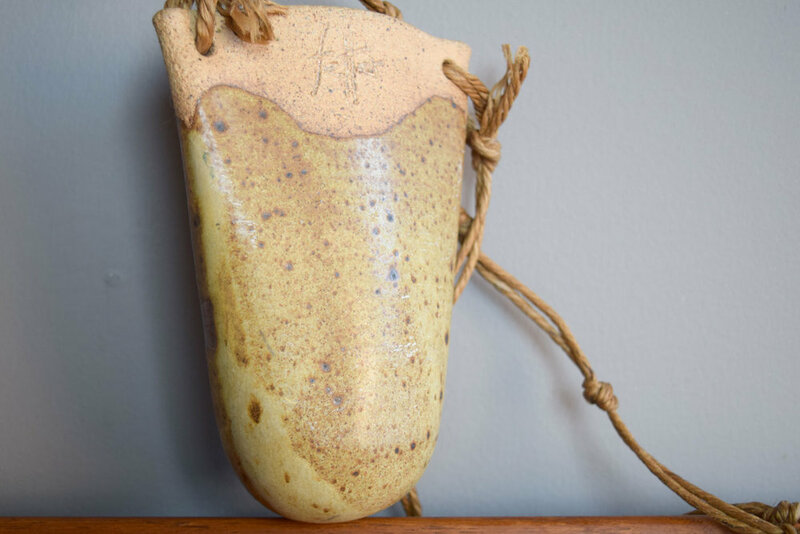 Wonderful wall pocket in stoneware with partial glaze. Very good vintage condition with some very light surface glaze scratches on back side as shown.